the horse's movements and ride for eight seconds. animal's front feet hit the ground. running at top speed, to the ground using only leverage and strength. dirt to stop the steer. Only then can it be wrestled to the ground. penalty is added for breaking the start barrier. a common practice on ranches even today. illegal and the team is disqualified. ropes and the horses are facing one another. coordination. 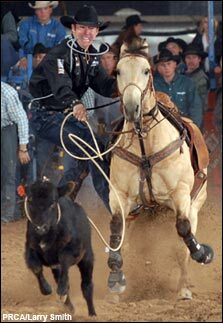 Expert team ropers can master the act in 10 seconds or less. that they are measured in hundredths of a second. the horse deviates in any other way, the rider is disqualified. making it more difficult to ride. 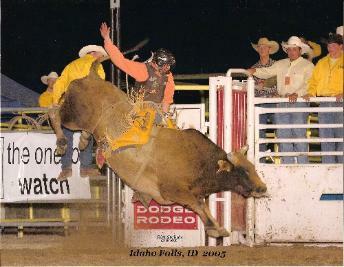 bucking efforts account for half the rider's score. strength isn't all that's required to be successful in this event. equipment with his free hand, he is disqualified. 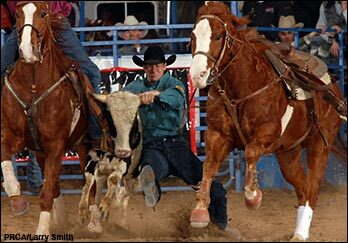 willingness to lean far back on the horse and take whatever the ride brings. 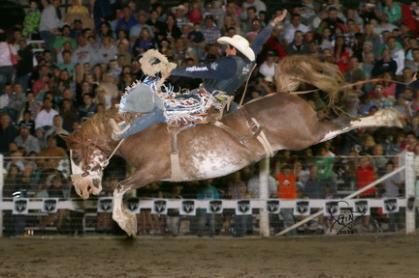 The horse's bucking action also contributes half the total score. 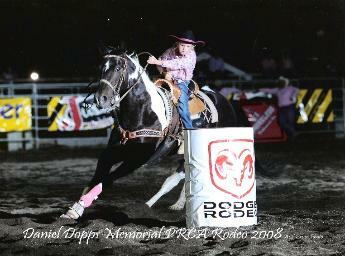 this event depends on roper and horse working together. (usually two hind and one front). 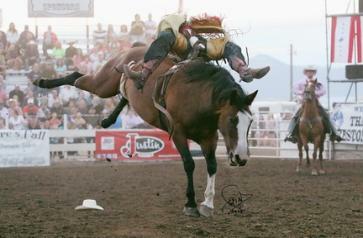 seconds after the rope is slack or the cowboy receives a "no time." which often separates winners from losers in this event. 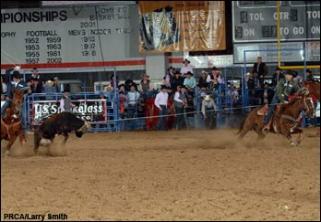 1959 in Dallas, Texas and every NFR since. generation family member Cody Flitton. 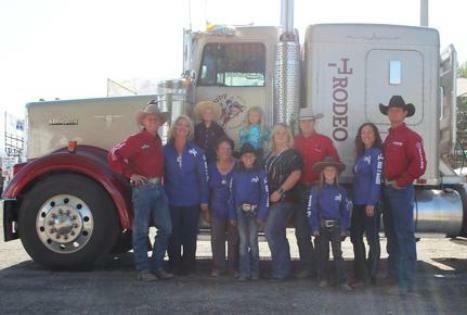 who all love the family heritage and the sport of rodeo.